Do you, your friend, your child, or grandchild have a DS? My guess is you probably answered yes to at least one of the above and if you did you’re in luck! 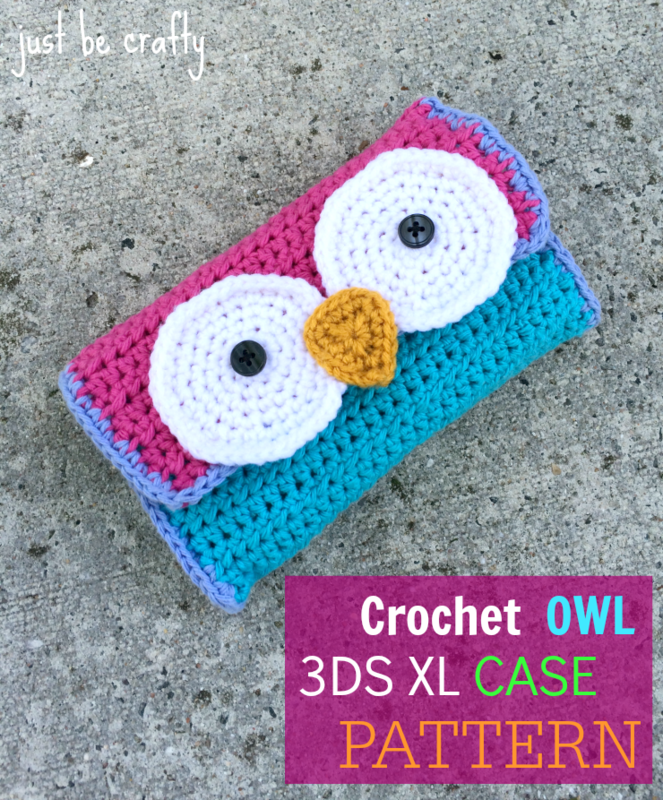 Today I am sharing with you a fun new pattern: the Crochet Owl DS case. 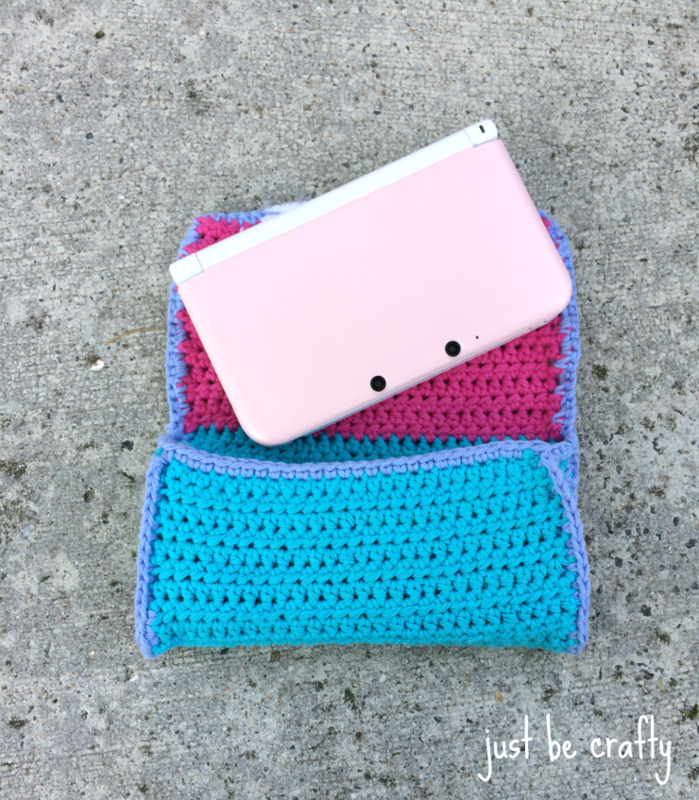 This pattern was designed for the 3DS XL, and is so fun to make! 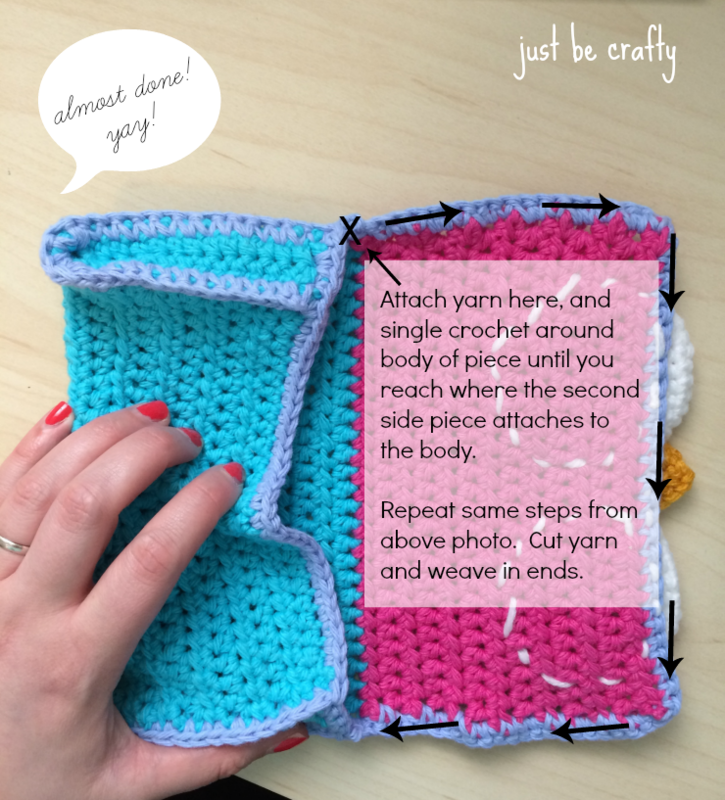 The case is simply a long crocheted rectangle of cotton yarn, and folded and stitched to construct the pouch where the DS sits. 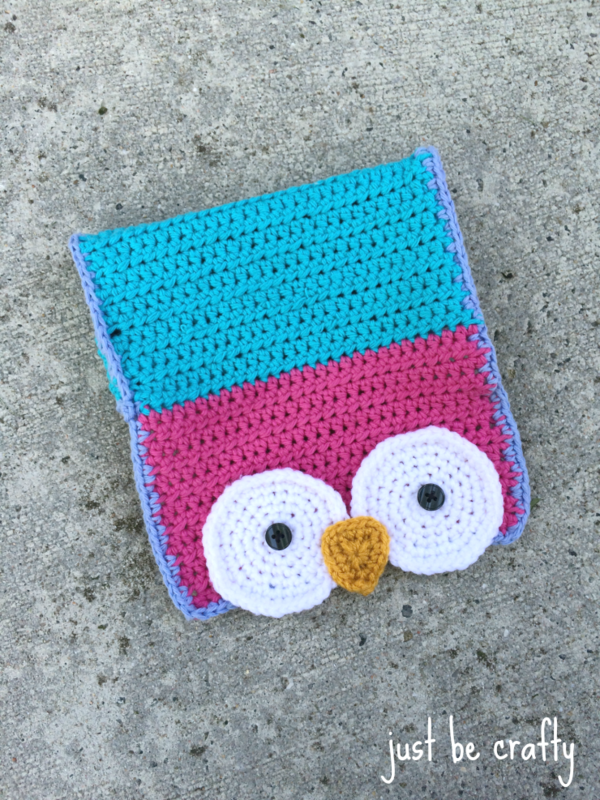 The eye and beak details are made with some scrap acrylic yarn. 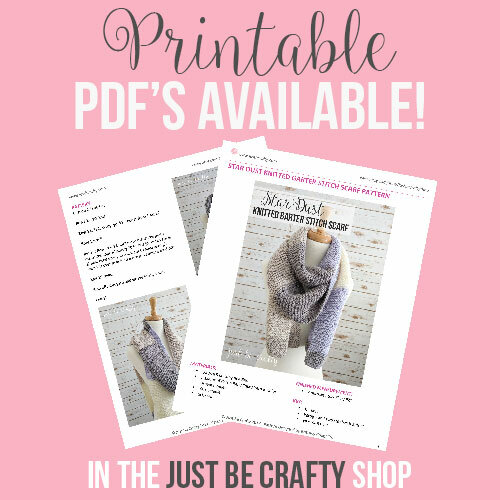 A printable downloadable copy of this pattern can be purchased here. Row 1: Starting in 3rd chain from hook, hdc to end, ch 2 and turn. Row 2: hdc to end, ch 2 and turn. Repeat Row 2 until piece measures 6 and 3/4 inches. Cut yarn, and attach color (hot pink). Repeat row 2 until pink piece measures 3 and 1/4 inches. The entire piece at this point should measure 10 inches. Working in the back bar of the crochet found chain, begin row 1. If you need a visual, I go into a bit more detail in this post here. Row 1: starting in 3rd ch from hook, hdc to end of row, ch 2 and turn. Leaving long tail (about an arms length), cut yarn. Using black buttons and black thread, sew button pupil to the center of each eye. Round 1: in magic ring ch 3 (counts as a sc and ch 2), sc 2, ch 2, sc 2, ch 2, sc 1, join with slip st in the second ch of the first ch 3 of the round. 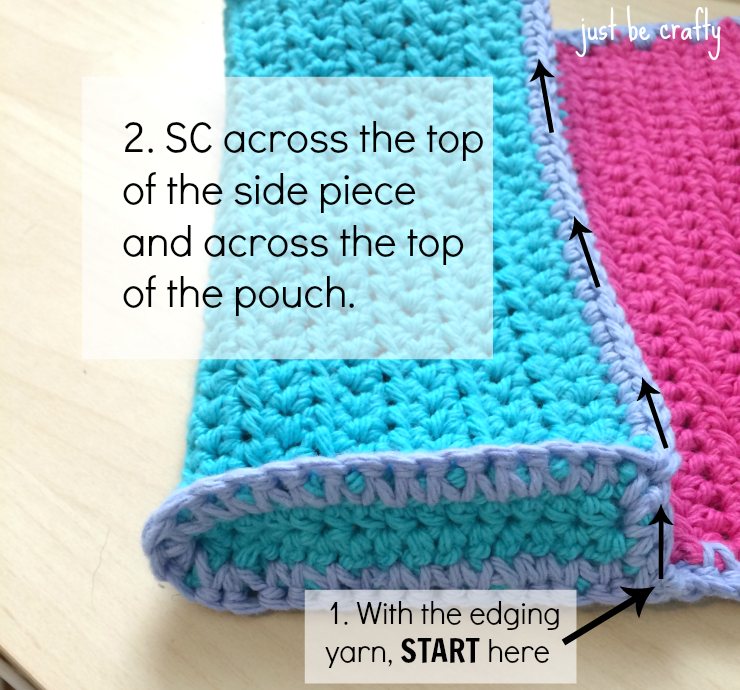 Slip stitch into the ch space. Round 2: ch 1, sc, ch 2, sc, sc in next 2 sc; sc, ch 2, sc, in ch space; sc in next 2 sc; sc, ch 2, sc, in ch space; sc in next 2 sc; join with ch 1. Cut yarn leaving long tail. Lay piece out in front of you with the pink at the top and blue on the bottom. 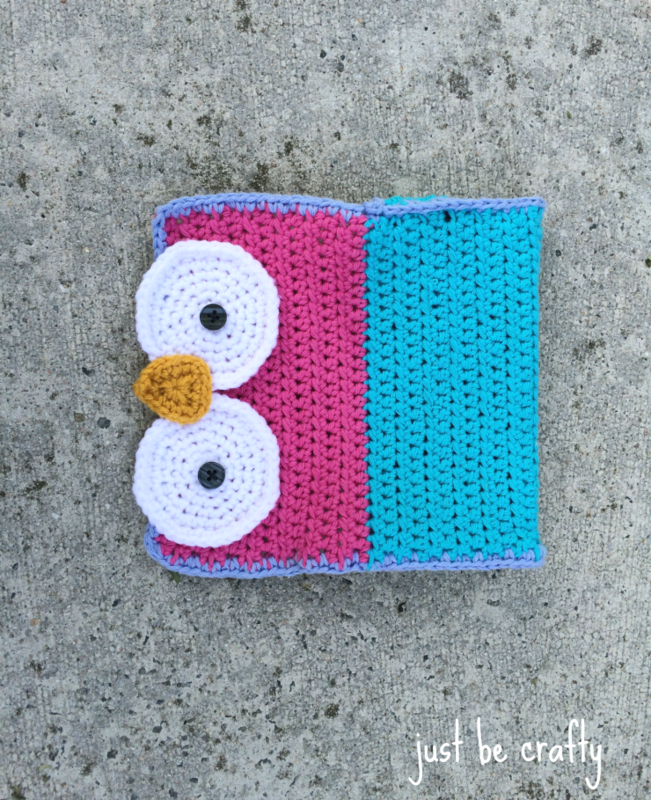 Fold up the bottom edge of blue side so it lines up to the line where blue meets pink. Take your two side pieces and pin in place (between the folded edges of the piece). 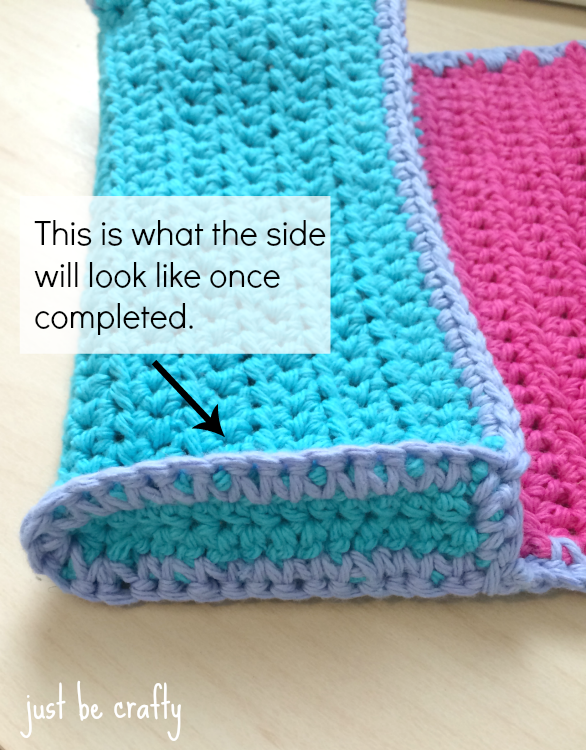 Line up the stitches as best you can as this will help when you single crochet around the outer edge of the piece. 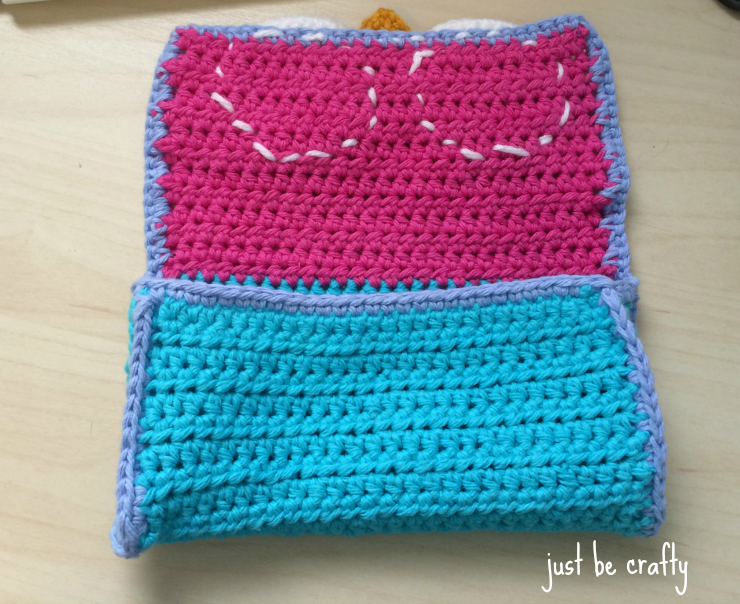 With Soft Violet color yarn and starting at the right side where the blue meets pink, sc across top of attached side piece and along the pouch edge. Once you reach the end of the pouch edge, continue to sc over to the top of the attached side piece on the left side. 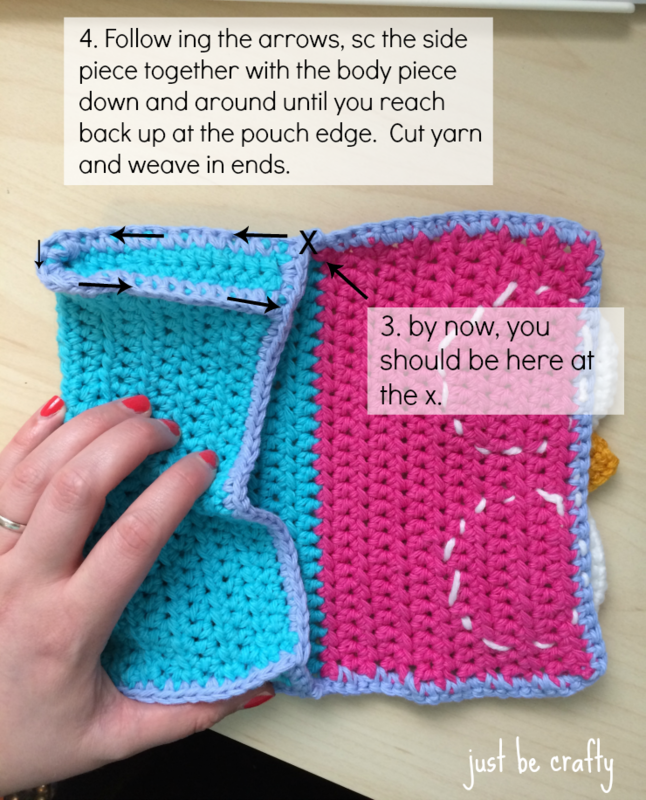 Crocheting the side piece and body together, sc down, around, and back up to the pouch edge. Cut yarn and weave in ends. See photo below for a visual. Using photo below as reference, attach yarn where I have shown, and sc around piece until you reach the other side piece edge and repeat process from above photo. Cut yarn and weave in ends. Place eyes and beak using photo below as reference. If you haven’t already…weave in the ends!